SUPERSUPER! Vol 2 #004 is here! Check out my first ever styled fashion shoot, ‘Simply Red’, a full-length spread on green, gross Internet meme #slimepunk and an article on ‘Future Threadz’, as well as interviews with designer Tom Nijhuis, artist Alexandra Gorcyznski, and musicians My Panda Shall Fly, o F F Love, Sunless ’97 and more! 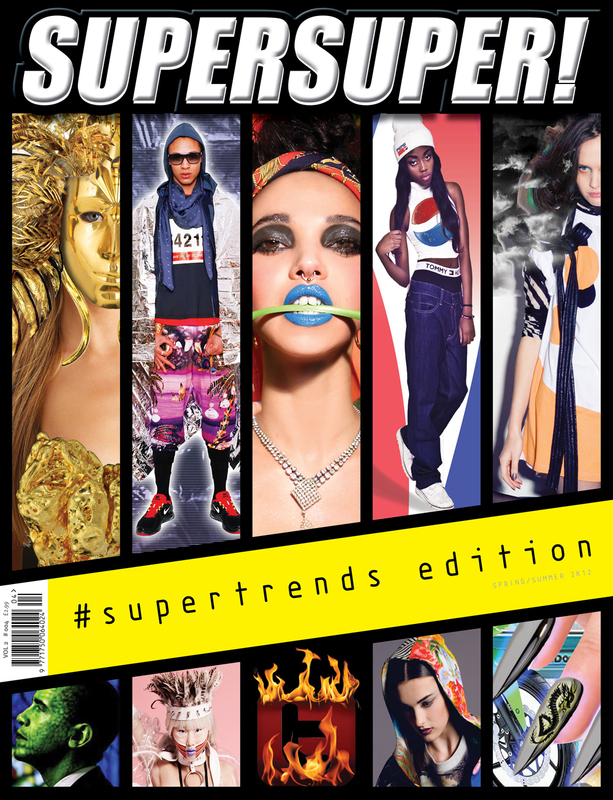 The issue also features pieces on A$AP Rocky, Lana Del Rey, and a whole range S/S12 #supertrends (with styles from Marathon Man to Denim Hair to Mermaid).